ConvertMe Swing-2-Seat Portable Swing - Ridgedale is rated 2.8 out of 5 by 9. Rated 4 out of 5 by Dalnesha123 from Great Bought this for my baby who is due tomorrow! It was very easy to assemble. It works fine for now. Won’t know if it will continue to work fine once baby is here but fingers crossed!! Rated 4 out of 5 by Dalnesha123 from Great Bought this for my baby who is due tomorrow! It was very easy to assemble. It works fine for now. Won't know if it will continue to work fine once baby is here but fingers crossed!! Rated 1 out of 5 by No Swing in Philly from Stops working Ingenuity ConvertMe Swing stops swinging after only few minutes. The settings for the swing strength and timer light up bright green at the start, but after the swing is in motion for three minutes, all the lights go off and the swing slows down. As far as we can tell, the magnet sensor is aligned and the batteries are new - but still the swing won't work. Received as a gift, unable to return. 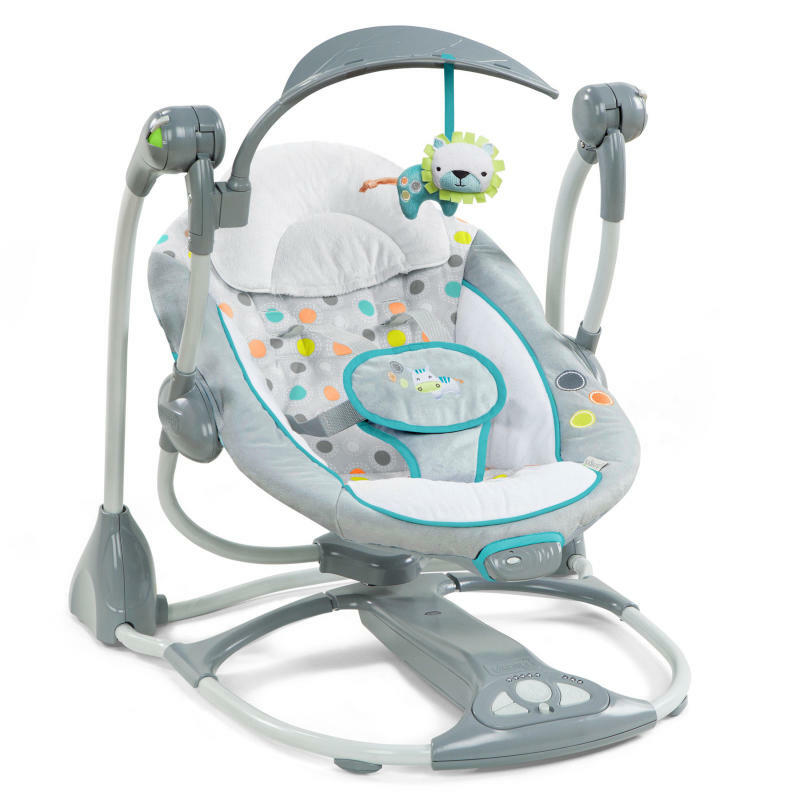 Rated 5 out of 5 by Shawna911 from Amazing product I bought this around two months ago and my son loves it.